Dr. Tristan was born and raised in West Palm Beach. 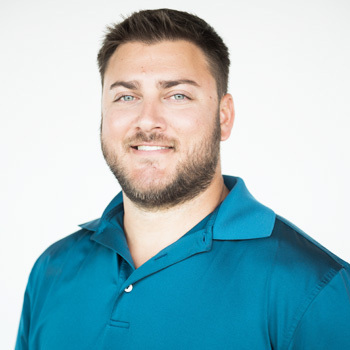 He began to receive chiropractic adjustments when he was a baseball player at Dwyer High School, and found them to be of great benefit in enhancing his athletic performance and preventing injuries. He continued his baseball career at Palm Beach Atlantic University, then picked up golf after college and is an avid golfer now. Through the years he found that, by strengthening his immunity, the adjustments kept him healthy in ways that went well beyond athletics. In addition to personally benefiting from chiropractic care, Dr. Tristan was also attracted by its philosophy, and becoming a chiropractor was an easy career choice. As a career, he views chiropractic care as a stepping stone to helping people reach their fullest healthy potential. Dr. Tristan is a member of the Wellington Chamber of Commerce and the Florida Chiropractic Society. In his spare time, Dr. Tristan enjoys spending time outdoors, especially boating, fishing, and playing golf. He is active in his church, and supports his community by working a booth at Green Market at Wellington, which is open on Saturday mornings from October through April. Dr. Tristan and his fiancée Ashley enjoy working out together, and they attend many local baseball and football games, as well as equestrian events. They particularly enjoy polo and dressage, which he describes as “ballet with a horse.” Interestingly, for the horse to perform at its highest level, the rider’s body has to be perfectly aligned, and sports chiropractic care is of great value to athletes who participate in dressage. Call today to start your journey to true health!